ONCE AGAIN, OUR PRESIDENT SPEAKS NEGATIVELY ABOUT CHRISTIANS. AT THE EASTER PRAYER BREAKFAST, HE SAID THAT CHRISTIANS DON’T ALWAYS SPEAK KINDLY ABOUT HIM. IT’S ALWAYS ABOUT HIM. 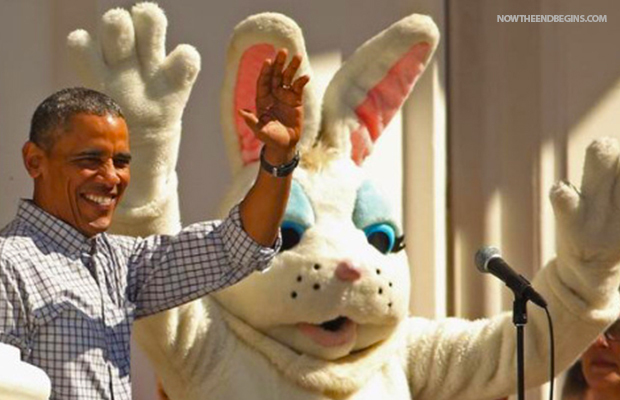 At the White House Easter Prayer Breakfast on Sunday, Obama said “On Easter, I do reflect on the fact that, as a Christian, I am supposed to love. And I have to say that sometimes, when I listen to less than loving expressions by Christians, I get concerned. But that’s a topic for another day.” “I was about to veer off; I am pulling it back,” he said with a smile. The president then appeared to pause before adding “that’s a topic for another day,” prompting laughter among the crowd. Well, because we are sinners, and remain in these sinful bodies while we are on earth, yes – there will be times when we speak in a manner which does not please the Lord. If Mr. Obama was a Christian, he might be able to understand this. But, if he is referring to Christians not agreeing with gay marriage and tax-payer funded abortion, and anything else which God tells us in His Word, is evil, then his words are meaningless. For a president who has catered to the Muslim Brotherhood, isolated Israel from the White House, and is obviously a Muslim or a Muslim sympathizer – Obama saying this about Christians is the height of ignorance. I know that I should be praying for Barack Obama. I must say, that it’s the hardest thing I’ve ever been asked to do. In my flesh, I not only do not want to pray for him, but I hope every day that something will happen, and he will not be our president any longer. A NARCISSIST DOES NOT TAKE KINDLY TO CRITICISM. Sometimes I wonder about the religion of Barack Obama. Could he be a Muslim? Perhaps. But here is what I think. I believe that our president is such a narcissist, that he worships himself. He refuses to come onto Fox News, because they tell the truth about him. There is one thing of which I am sure, and that is that Barack Obama is NOT a Christian. There could be a book called BAD FRUIT and the pages filled with the evil things this man has done in his life. Everything is calculated. He makes no mistakes. He has his evil agenda, and he sticks to it. He is unrepentant. He is carefully and subtly placing thoughts into the hearts and minds of his followers, that Christians are evil. His left wing followers hold onto his every word. I believe that he is setting the stage for Christians to be arrested for hate speech, and prosecuted to the full extent of the law (according to Obama). 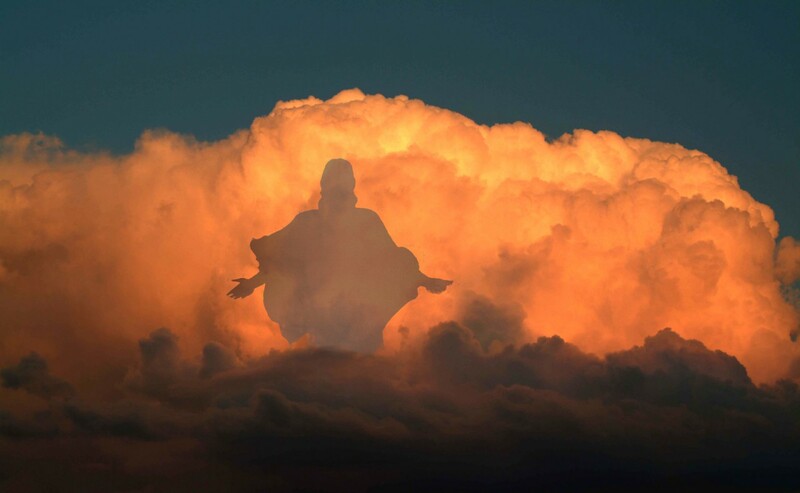 He will stand before Jesus one day, and if he does not repent, he will be judged and cast into hell for eternity. I never thought that I would ever see a president of the United States disparaging Christians, and promoting Muslims in our society. I guess America got what it deserved. “For the invisible things of him from the creation of the world are clearly seen, being understood by the things that are made, even his eternal power and Godhead; so that they are without excuse: Because that, when they knew God, they glorified him not as God, neither were thankful; but became vain in their imaginations, and their foolish heart was darkened. Professing themselves to be wise, they became fools, And changed the glory of the uncorruptible God into an image made like to corruptible man, and to birds, and fourfooted beasts, and creeping things. Wherefore God also gave them up to uncleanness through the lusts of their own hearts, to dishonour their own bodies between themselves: Who changed the truth of God into a lie, and worshipped and served the creature more than the Creator, who is blessed for ever. Amen. For this cause God gave them up unto vile affections: for even their women did change the natural use into that which is against nature:And likewise also the men, leaving the natural use of the woman, burned in their lust one toward another; men with men working that which is unseemly, and receiving in themselves that recompence of their error which was meet.